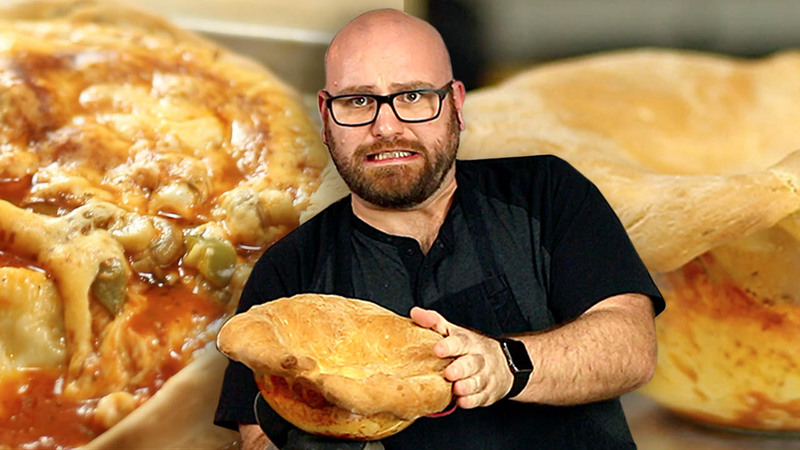 Can I SUPERSIZE the Pizza Pot Pie? I kept seeing everyone making the Pizza Pot Pie… but they were all small versions. Can you make an extra large pizza bowl? I don’t know.. So I grabbed an Extra large oven safe bowl to try my attempt at an extra large Pizza Pot pie recipe! remove dough from mixing bowl and form into ball. Enjoy but be carful when baking glass bowl!! !